Drip. Drip. Drip. That’s the sound you hear of the maple tree’s sap dripping into buckets. 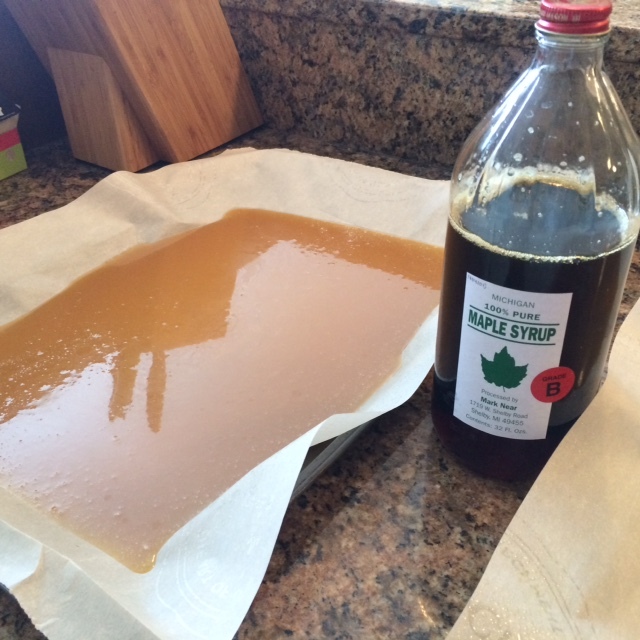 Did you know that it takes up to 60 gallons of sap to produce just ONE gallon of maple syrup. Consider that next time you are incredulous over the price of real maple syrup in the market — most commercial brands are made entirely of corn syrup – not a drop of that natural sap. Cheap and totally not the real deal. In its raw form, the sap is a drinkable beverage that endurance athletes are realizing has a similar content of electrolytes as coconut water – and local, too. 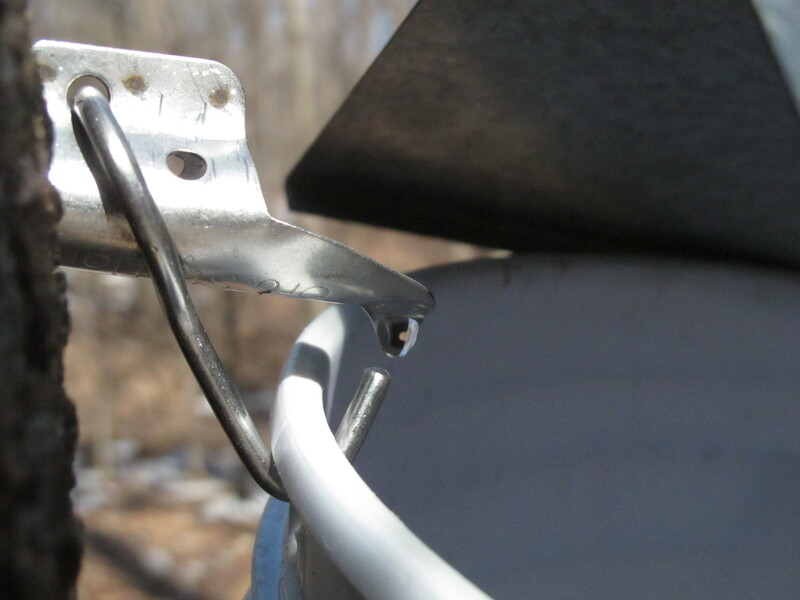 The sap also contains trace minerals of zinc, manganese and some iron, and these minerals remain as the sap cooks into maple syrup. Foragers – aka Sugarbushers – tap a variety of trees and species to gather sap to make syrup – from maples to walnut trees to birches. Most commonly known is the sugar maple (Acer saccharum) that produces the sweet vanillin flavored syrup we all know as REAL maple syrup. The sap has to be boiled down in an evaporator- this reduction process boils off the extra water to produce that condensed, sweet syrup. Caution – don’t ever try to evaporate the sap inside. My mom did this once, and it peeled the wallpaper off the kitchen walls and left a sticky residue on the walls. It is now a family joke, but it wasn’t funny at the time. 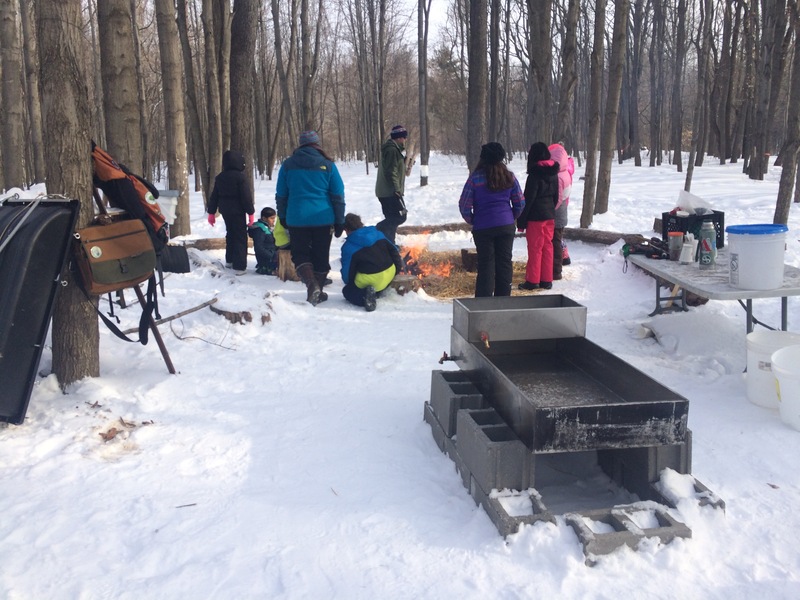 An outdoor evaporator is used by the students and staff at the West Michigan Academy for Enviro Science to boil down their sap. As a sweetener, maple syrup has half the glycemic load of refined or white sugar, making it a good choice for those minding their sugar intake (all of us, right?). It’s delicious of course in pancakes, stirred into coffee, topped over oatmeal and drizzled over ice cream. Maple syrup has lovely savory uses as well – as a glaze for meats and fish, balsamic dressing, or drizzled atop stinky cheeses.And the baking and candy making – oy – the candy making. My favorites are turning maple syrup into caramels and toffee. Super yum. What’s more decadent than a delicious caramel? Why, one that is made with maple syrup, of course! These classic French-style caramels are styled similarly to a Fleur de Sel caramel. The use of maple syrup in lieu of the commonly-used corn syrup will require close monitoring as the mixture reaches 248 degrees, but results in a much more balanced vanilla flavor that’s worth the effort managing the viscosity. 1) Prepare pan with parchment, oil slightly – the caramel making process is a sticky one. 2) Bring cream, butter and fleur de sel to a boil in a small saucepan, then remove from heat and set aside. 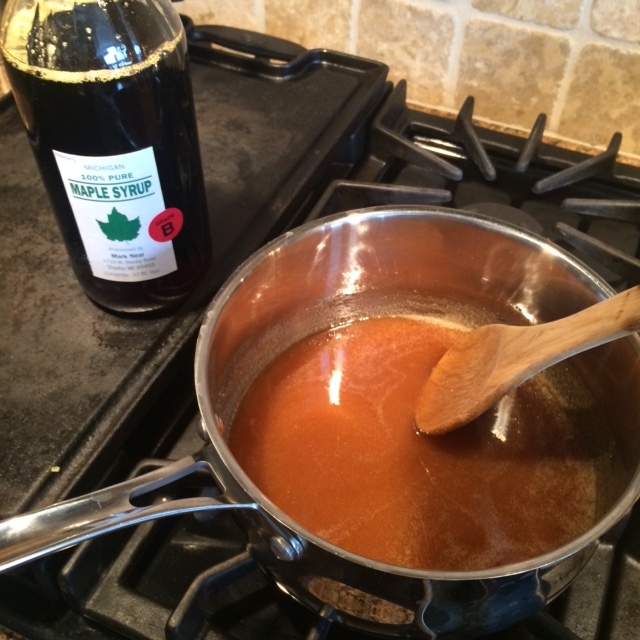 3) Boil syrup, sugar in a large saucepan, dissolving sugar and gentle stirring until syrup comes up to a boil. 3) Stir in cream, stir constantly and simmer until the candy thermometer reaches 248 degrees. 4) Pour caramel mixture into the prepared sheet, let cool. 5) Cut into strips or bite size candies, wrapping them in pieces of cut parchment, twisting ends. 6) Caramels store in a cool location for up to two weeks. Want to learn more? 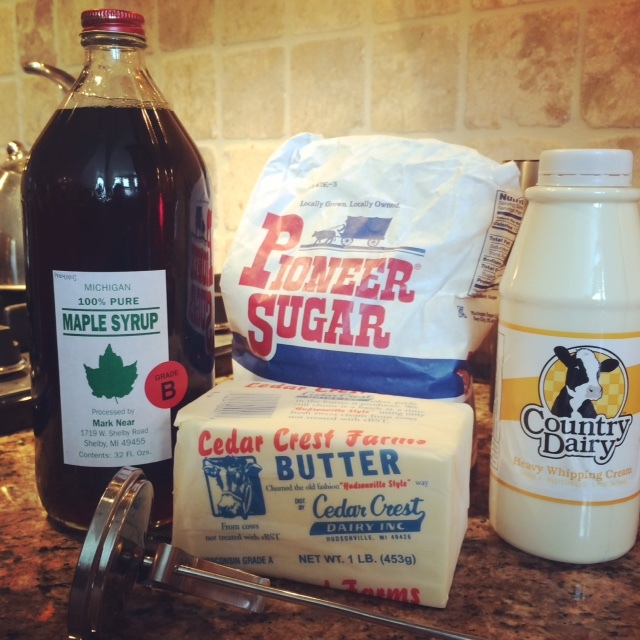 Click HERE to go to WZZM13 to learn how Maple Syrup is made or visit my other posts on the blog HERE to learn about the syruping process. Sounds wonderful – I’m going to try this. The text, though, mentions boiling syrup, sugar & water but the ingredients don’t list water.